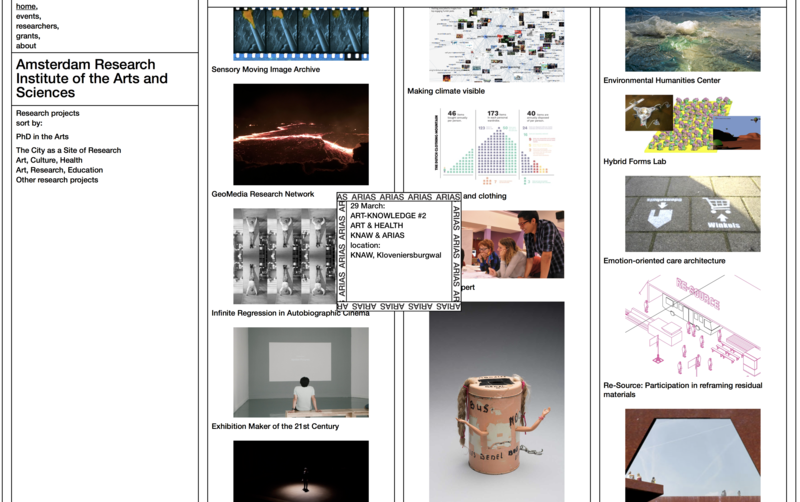 ARIAS is a research platform by the Amsterdam University of the Arts (AHK), Gerrit Rietveld Academie, Amsterdam University of Applied Sciences (HvA), University of Amsterdam (UvA) and Vrije Universiteit (VU Amsterdam). ARIAS enables intersections, encounters and collaborations between art-research and research in the humanities, social sciences and the natural sciences. Henri Snel is part of the research platform and established the Alzheimer-Architecture office to conduct research into the living conditions of Alzheimer’s patients from an architectural viewpoint. His projects often involve students from different educational institutions, like the Rietveld Academie and (scientific) specialists in cross-over collaborations. With Alzheimer-Architecture, Snel contributes to existing efforts to design ‘perception places’ that stimulate and activate residents. In his designs, his aim is to reduce unnecessary incentives and encourage meaningful incentives to stimulate physical activity. 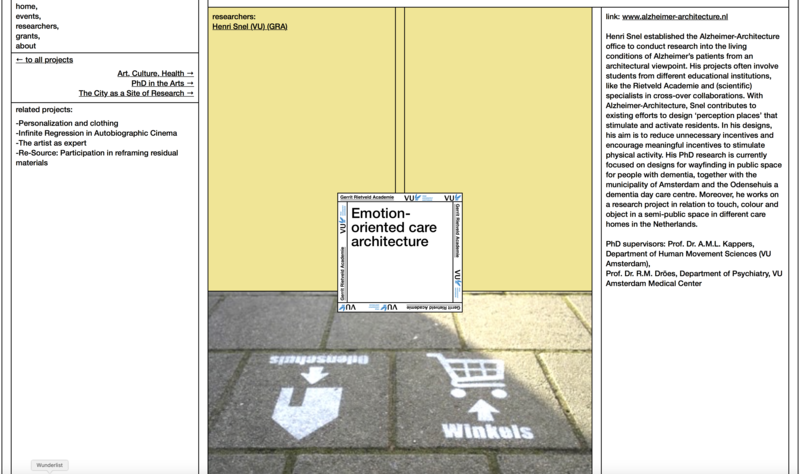 His PhD research is currently focused on designs for wayfinding in public space for people with dementia, together with the municipality of Amsterdam and the Odensehuis a dementia day care centre. Moreover, he works on a research project in relation to touch, colour and object in a semi-public space in different care homes in the Netherlands.